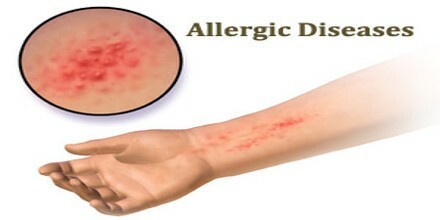 Allergic Diseases also known as Allergies, is an abnormal reaction of the body to a previously encountered allergen introduced by inhalation, ingestion, injection, or skin contact, often manifested by itchy eyes, runny nose, wheezing, skin rash, or diarrhea. Allergies can develop at any age; the risk of developing allergies is genetic. It is related to ones family history of allergy. If neither parent is allergic, the chance for allergies is about 15%. If one parent is allergic, the risk increases to 30% and if both are allergic, the risk is greater than 60%. 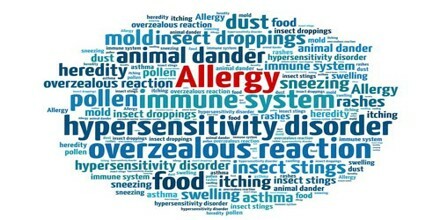 Common allergens include pollen and certain food. Metals and other substances may also cause problems. Food, insect stings, and medications are common causes of severe reactions. Their development is due to both genetic and environmental factors. Allergies are common. 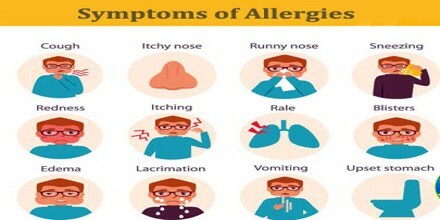 In the developed world, about 20% of people are affected by allergic rhinitis, about 6% of people have at least one food allergy, and about 20% have atopic dermatitis at some point in time. Depending on the country about 1–18% of people have asthma. Anaphylaxis occurs in between 0.05–2% of people. Rates of many allergic diseases appear to be increasing. An allergy starts when our immune system mistakes a normally harmless substance for a dangerous invader. The immune system then produces antibodies that remain on the alert for that particular allergen. When we are exposed to the allergen again, these antibodies can release a number of immune system chemicals, such as histamine, that cause allergy symptoms. Allergies can be seasonal, worsening during certain times of the year, such as pollen allergies in the spring or perennial (occurring year-round). Common allergens include weed or grass pollen, dust mites, animal dander, mold, insect stings and a variety of food types, such as eggs, shellfish, nuts and grains. 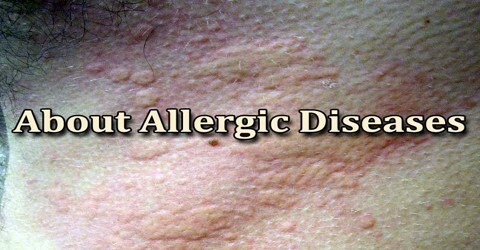 Allergic reactions can range from mild to severe. In some severe cases, allergies can trigger a life-threatening reaction known as anaphylaxis.